Now that I'm 40, I'm happy to pull out the old "with age, comes wisdom card." I've been around the block a few times and I'm learning a thing or two about the things that are really important. I think some of that knowledge has come with time and some of it has come with experience, either way, there is one word that I'm embracing as I age and it's the word simplify. 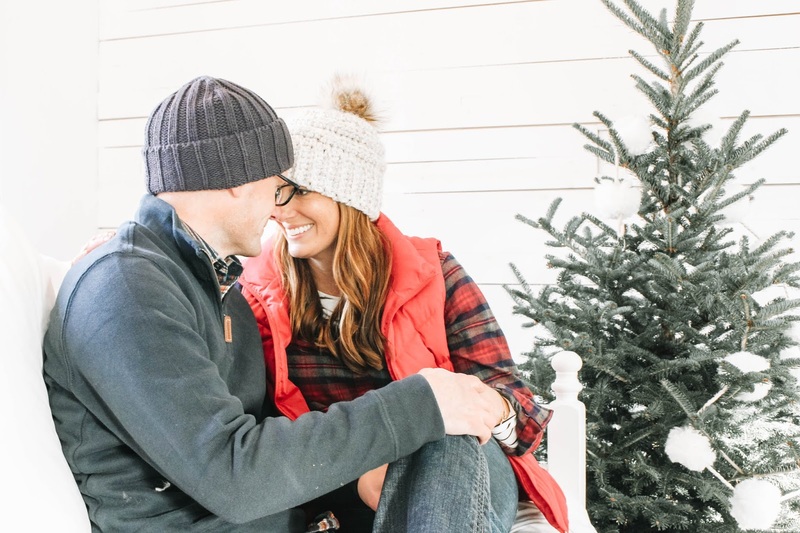 This time of year we can get overwhelmed with our schedules and our long list of to-do's, but it's so important to simplify as much as we can so that we can have more joy and less stress this time of year. 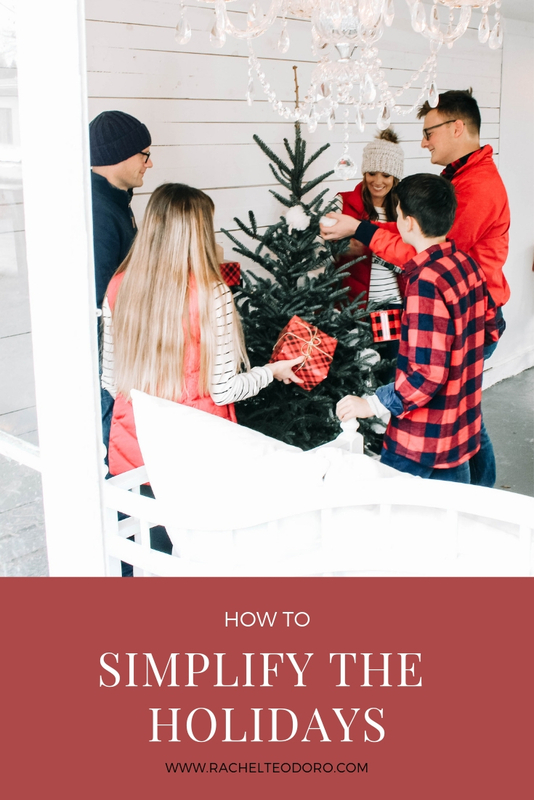 I'm sharing 5 tips on how you can simplify the holidays. The people in my home are, shall we say, opinionated. They don't hold back on telling me how they feel about something, so we don't tend to do something year after year just because of tradition. However, there have been times that I didn't think anyone cared about one of our long-lasting traditions and welp, it turned out they did. So, if it's important to you and the members of your family keep doing it, but if you are doing something just because you've always done it, cut it out. You don't need to be adding extra stress to your life. 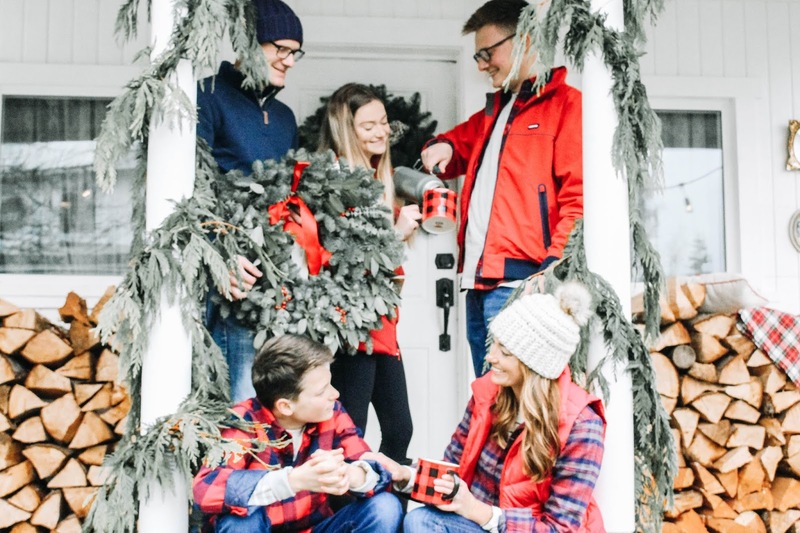 If having everyone in matching Christmas pajamas is important to you, order them all from the same place. 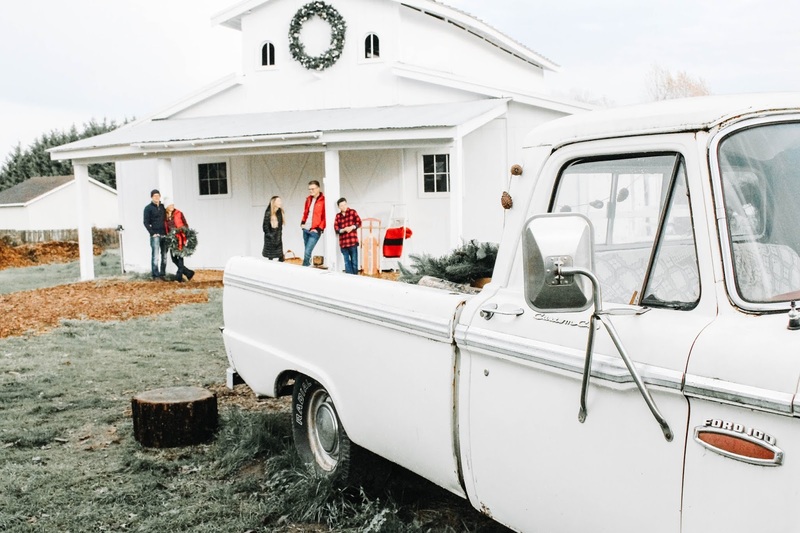 If getting everyone together to drive around to look at Christmas lights is important, make the time well in advance and get it on your calendar. 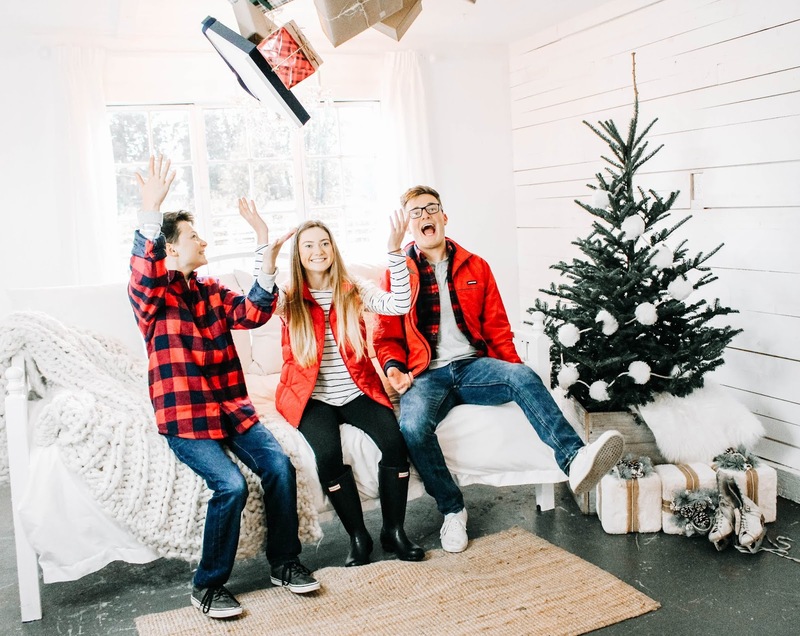 Gifts were important to my kids when they were younger but now that they are getting older, we are focusing more on experiences and less on things. Last year we spent the week leading up to Christmas at an all-inclusive resort in Mexico. I think everyone appreciated that so much more than something chintzy under the tree. This may not look the same from family to family. In the early days of parenthood, the kids got what we called the three wisemen gifts. They got a gift they needed, one they could wear and another they could read. The final "want" gift was from Santa. We also set a limit on how much we spend which helps to streamline and control gift giving. 3. Stop the "I should"
Sometimes I think we are doing things around the holidays because we think that we should. There is nothing wrong with doing things that you love because you love doing them, but if the reason you are doing something starts with the word should, then I give you permission to stop doing it. Don't do something just because you think someone is expecting it of you. Do it because you expect it from yourself. There is no reason to make things more complicated than they should be. 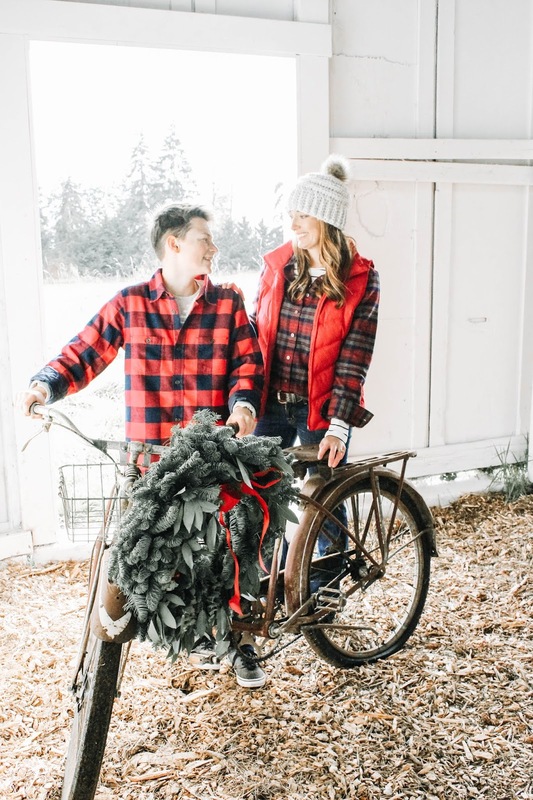 I love shopping online at places like Lands' End, where I can get coordinating clothing for our Christmas photos, gifts for my family and holiday decor all in one place. I can pick up a wreath and garland for my home, personalized Christmas stockings for the mantle, coordinating clothes for every last one of us and gifts to give that everyone loves. You don't have to accept the invitation to every single holiday party or event that you are invited to. You can easily overschedule yourself this time of the year and that can only bring on more stress and less joy. So learn to say no. Say no to something that will take your time away from you being able to do something you would rather be doing. If it helps, start by looking back on past holiday seasons. What are the things that made that season "perfect" for you and your family? My guess is that it has very little to do with the gifts and the desserts and much more about the time that you spent together. So why not start now and do what you can to simplify the holidays so that you can truly experience the joy of the season.